If you are judge for Maryland Sheep and Wool Festival, please turn back now. Ok, what you are about to see is something that I am entering in the festival this weekend. 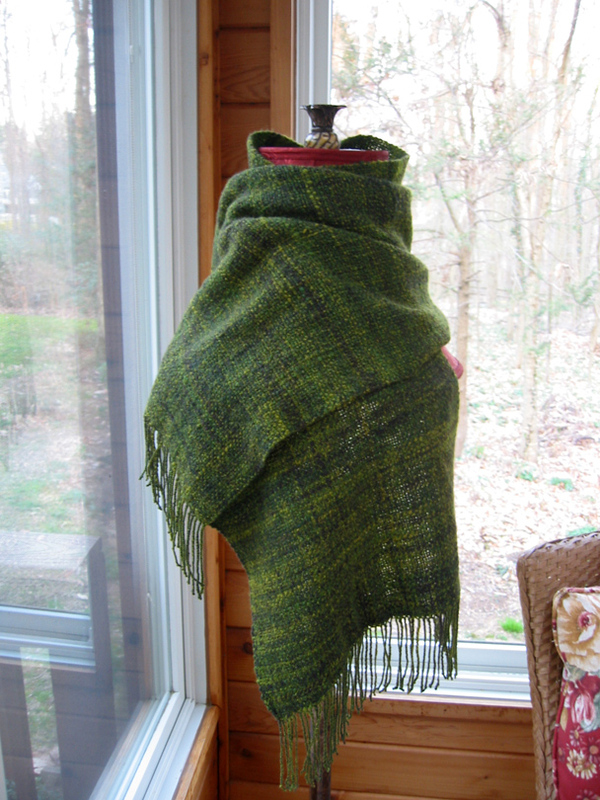 This is a shawl that I wove with this. This is yarn that I spun as part of a spin along Kimber of Fiber Optic held over a year ago. It is her olive to slate that I “deconstructed” before spinning. The yarn is 12 wpi, so for the plain weave shawl, I set at 6 epi. The loom was already threaded for plain weave from the last shawl that I wove on it, so I was able to just re-sley the reed to the new sett and tie the new warp onto the old and just wind it onto the loom, and start weaving pretty quickly. At 6 epi, weaving was quick. We shall see how this and my other entries will do in the competition. 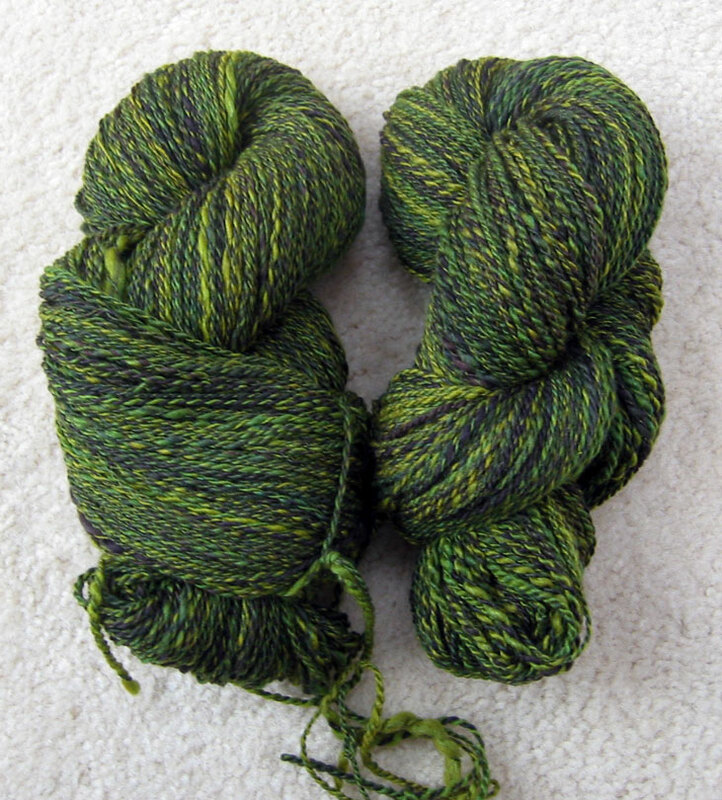 This entry was posted in After, Clothing, Festival, Spinning, Weaving by textillian. Bookmark the permalink. It’s lovely, can’t wait to see it, and hopefully you, this weekend!